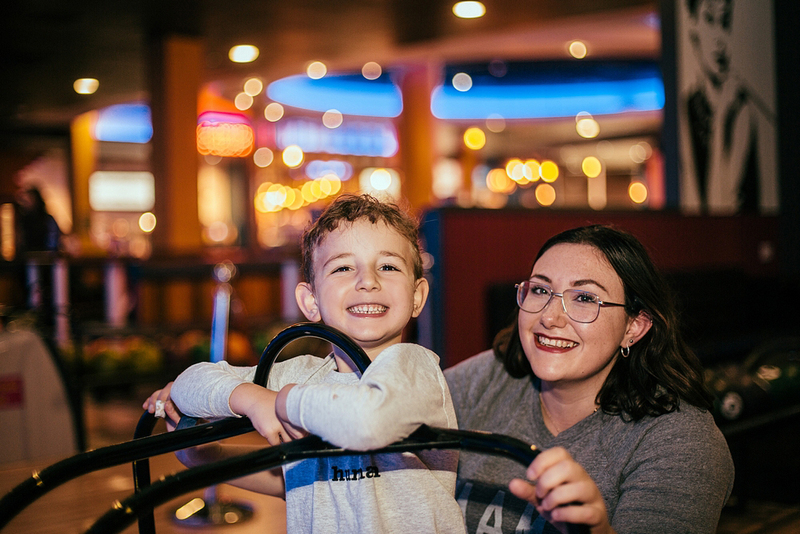 Six long weeks ago we were enjoying a lovely day at the beach with friends when we felt a little extra adventurous and decided to venture off the beaten path on the way back to the car. 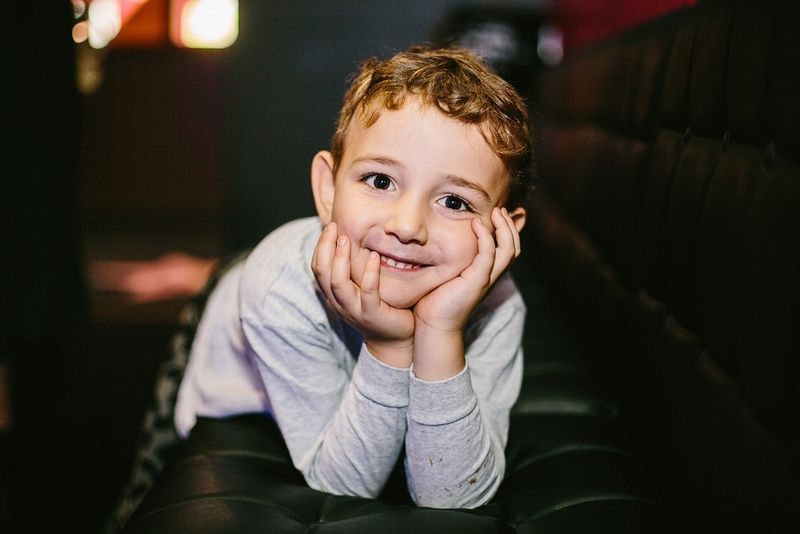 We all made the short but steep climb back up to the car park via a hill, and just as I was celebrating making it to the top I tripped and fell. 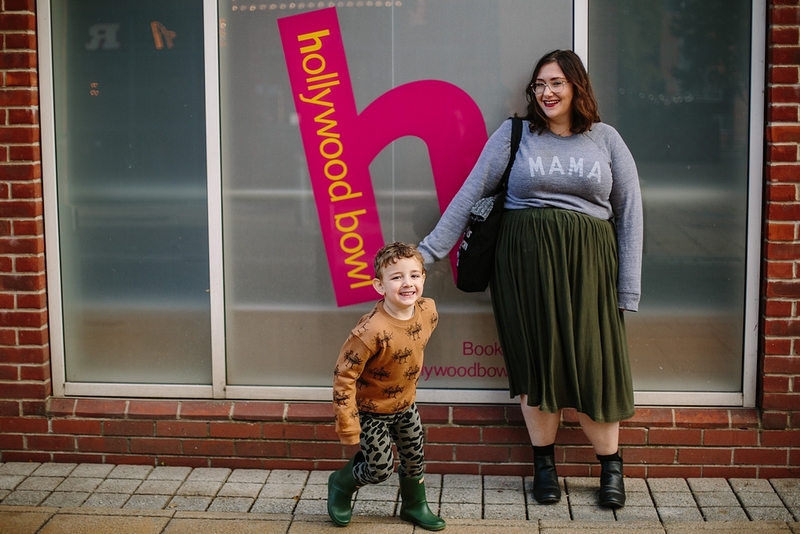 I landed on my arm, and I knew immediately (mostly from the awful snapping noise and the immediate nausea) that it was broken. 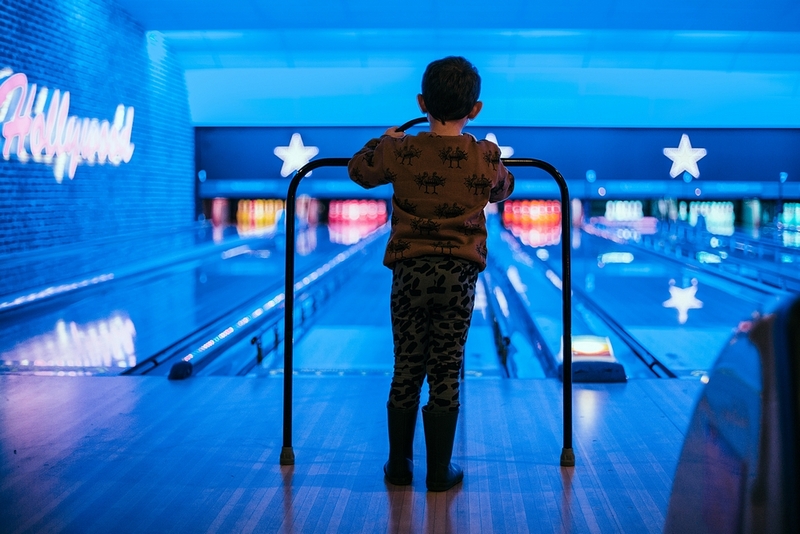 Broken bones are inconvenient at the best of times, but when you have a young child and live in the deepest darkest depths of North Norfolk it really is less than ideal. 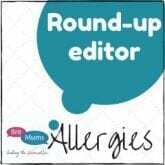 The past 6 weeks have been difficult as I’ve been completely unable to drive/wash up/even do up my own bra. 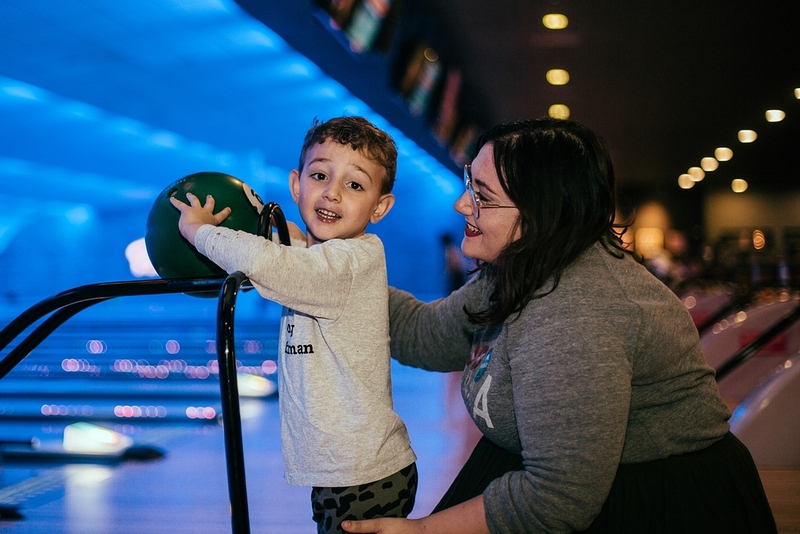 On Thursday though my cast finally came off, and to celebrate we headed to one of Dil and I’s favourite places – Hollywood Bowl. 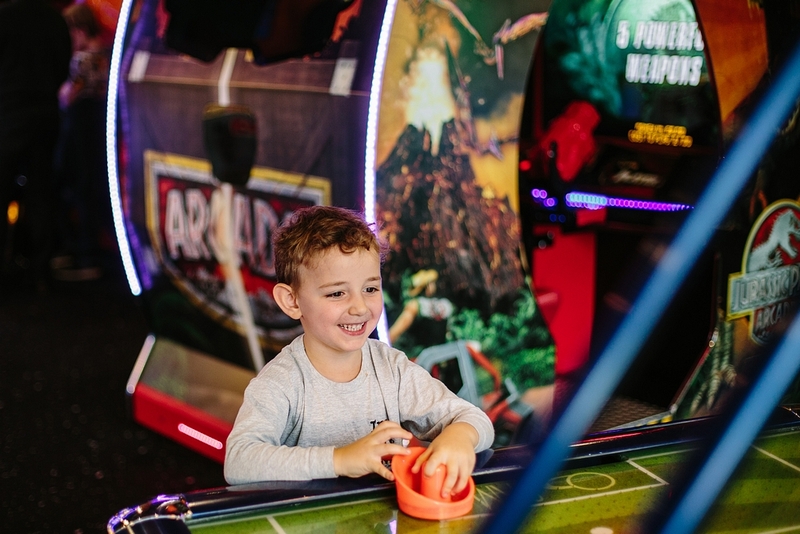 What better way to celebrate having two working arms again than some healthily competitive bowling and a few rounds on our favourite pirate game in the amusement arcade?! 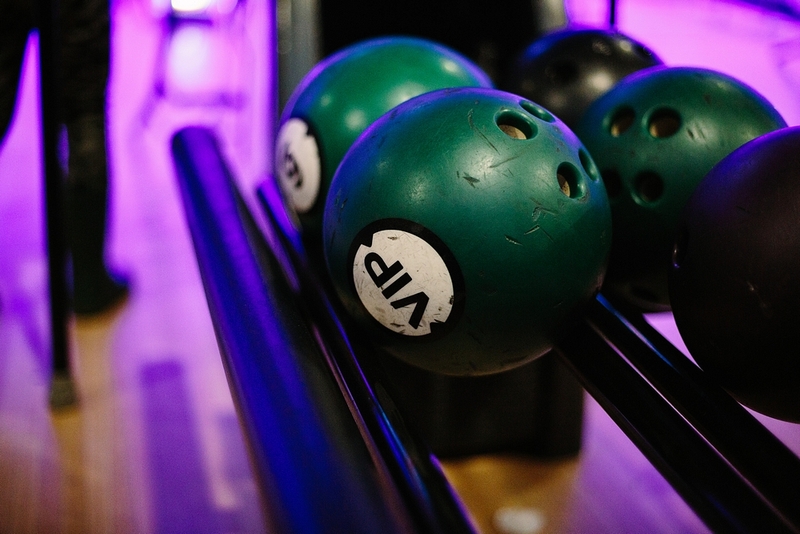 If you follow us on Instagram then you’ll know we can often be found in Hollywood Bowl, usually battling pirates or playing Space Invaders in the amusements, or messing around in the photobooth. 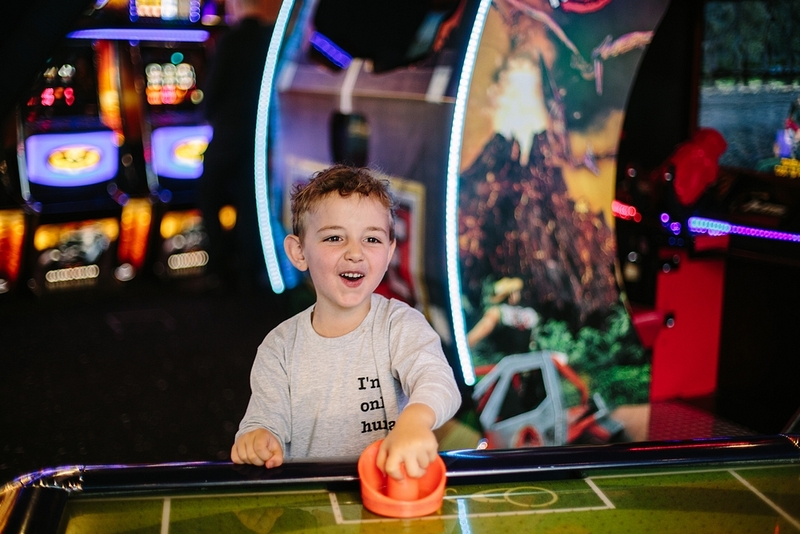 Dil is a 2p machine pro and can never resist a good game of air hockey either. 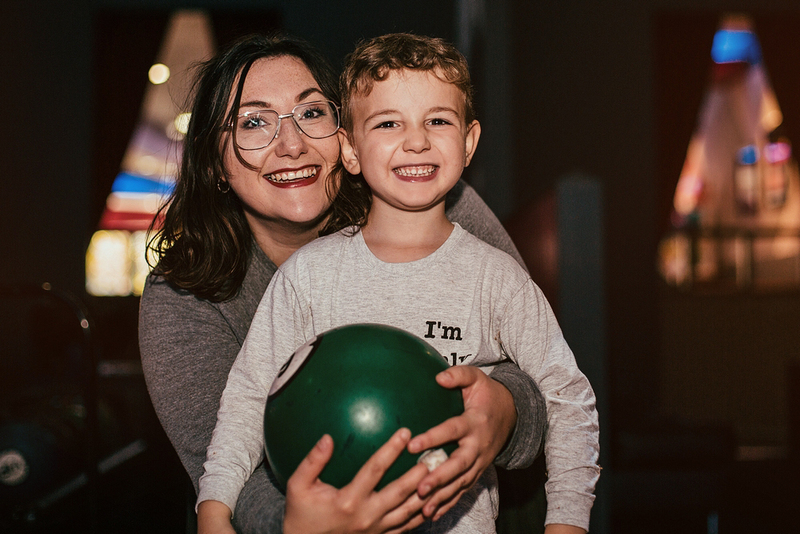 As a family we love bowling – my American parents were both in bowling leagues, and I spent many many evenings watching them play (I even have my own personalised ball!) 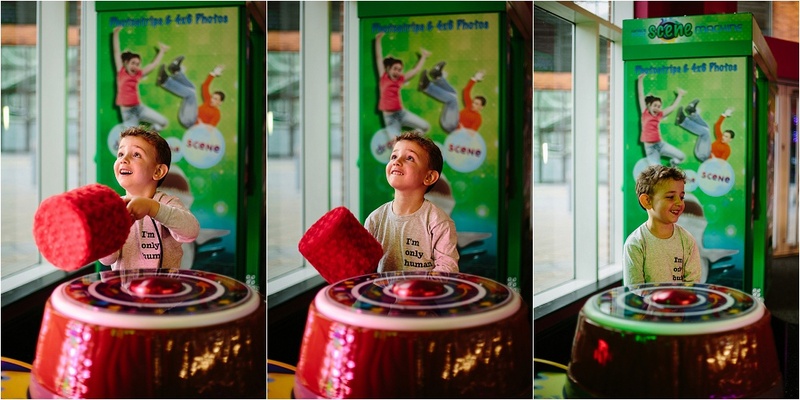 so it always brings back happy memories for me and I want it to do the same for Dilan. 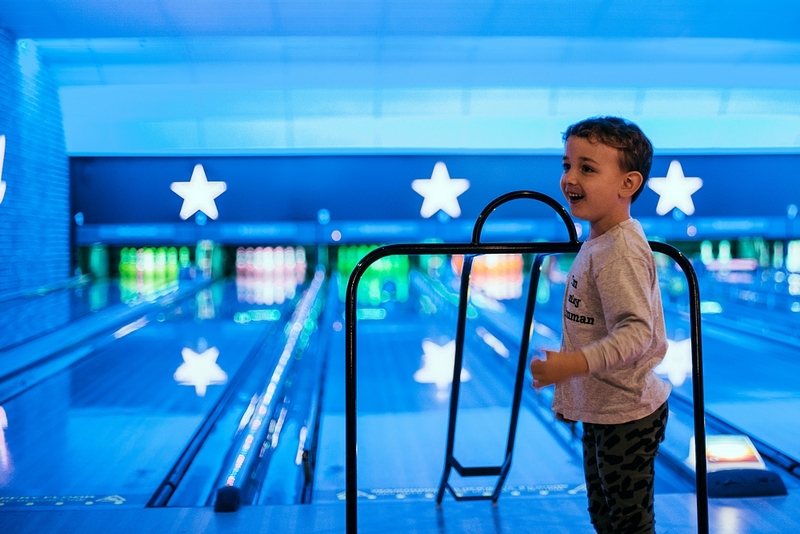 Bowling is brilliant because it’s something that can be enjoyed by everyone – whether you’re 3 or 93 a game of bowling is always good fun. 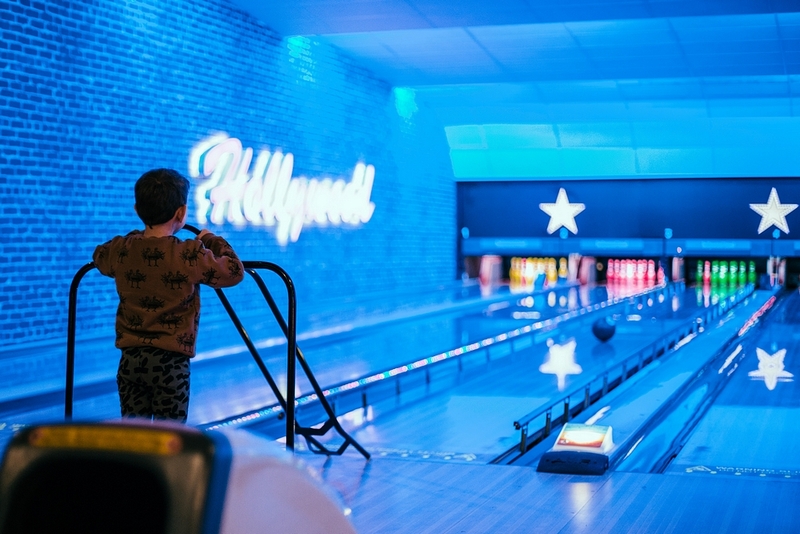 Visiting Hollywood Bowl is about more than just bowling though – they offer great food, fun amusements and everything you need to have a really great time. 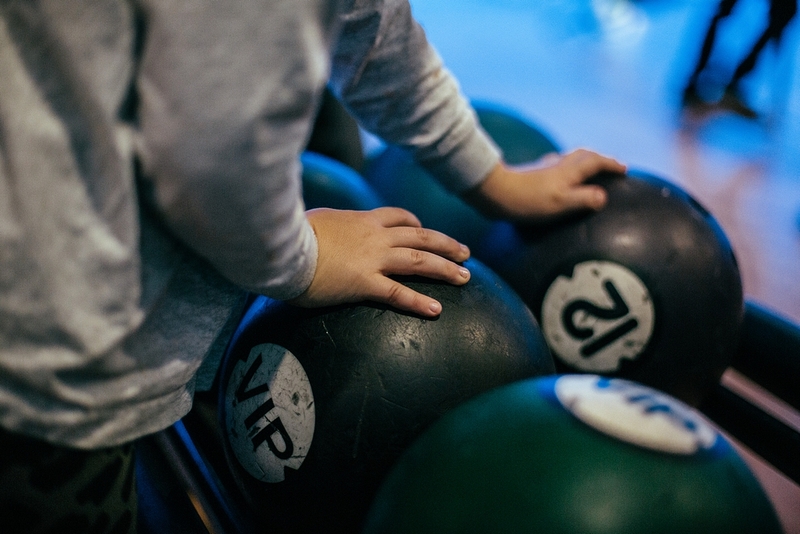 VIP lanes are also now available in our local Hollywood Bowl, and we’ve been really excited to try these out. 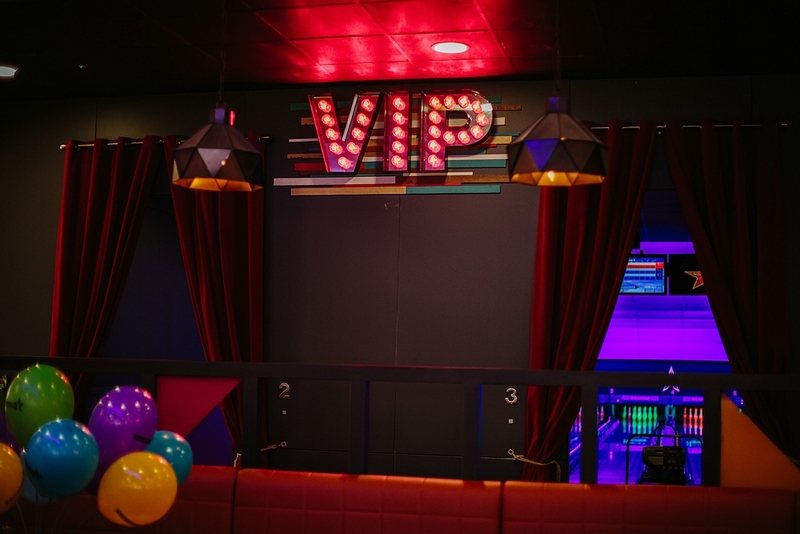 The VIP lanes are easy to spot within Hollywood Bowl, with their neon lights and red velvet curtains which make your experience private and a little extra special. 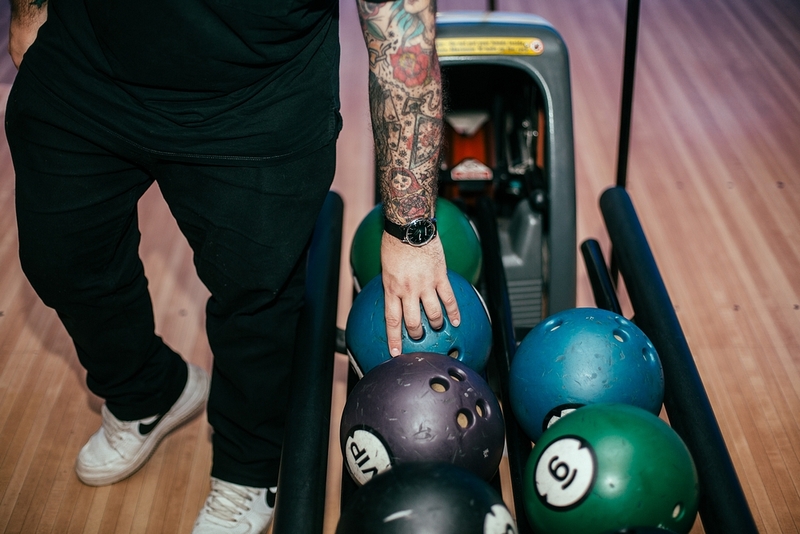 Once you arrive you meet your lane host who will make sure you have everything you need while you enjoy your game. 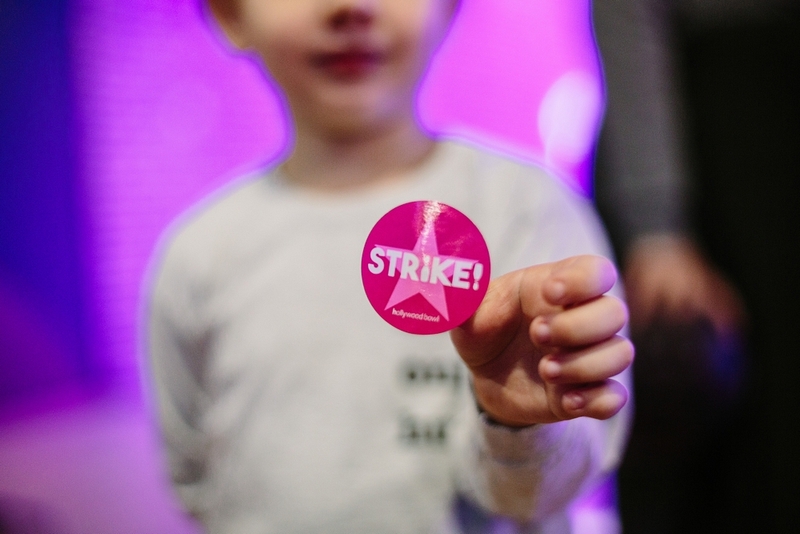 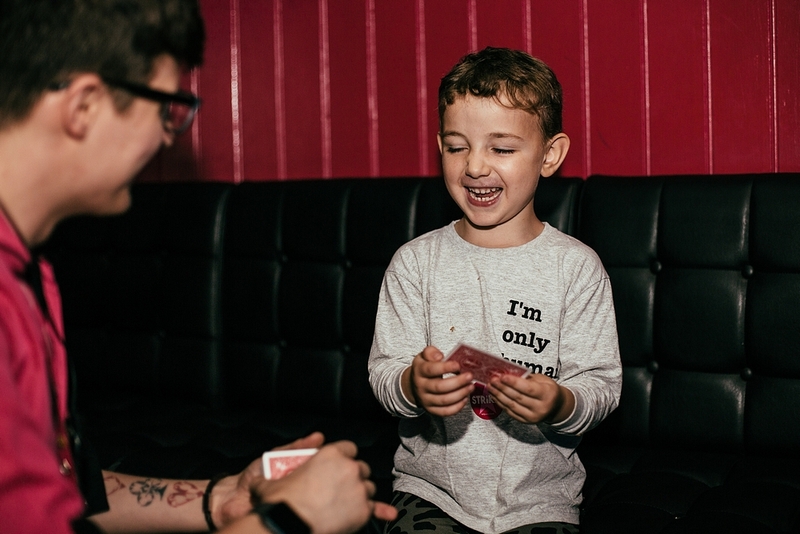 They will bring you drinks and nibbles, hand you stickers for every strike and each win, and ours even showed us a few magic tricks! 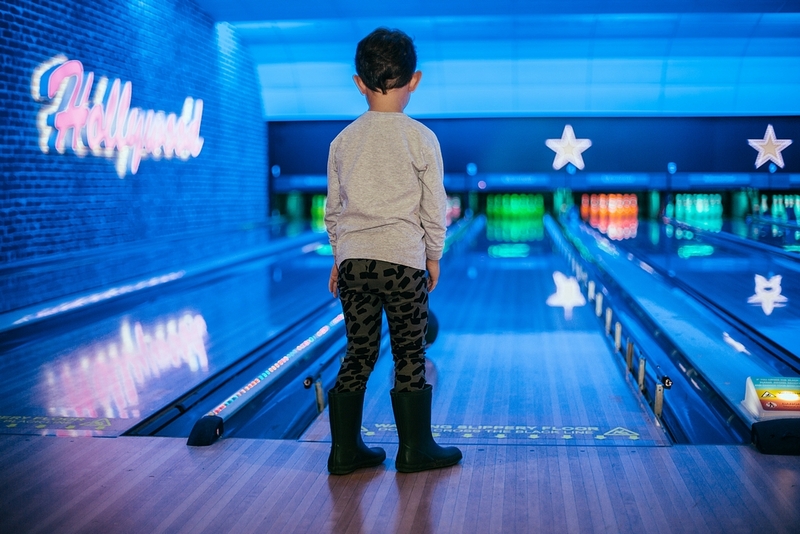 At Hollywood Bowl as long as your shoes cover your toes then you can avoid those funny bowling shoes (unless you want to wear them), and thanks to bumpers and the bowling ball ramps it’s really family friendly, even for little kids. 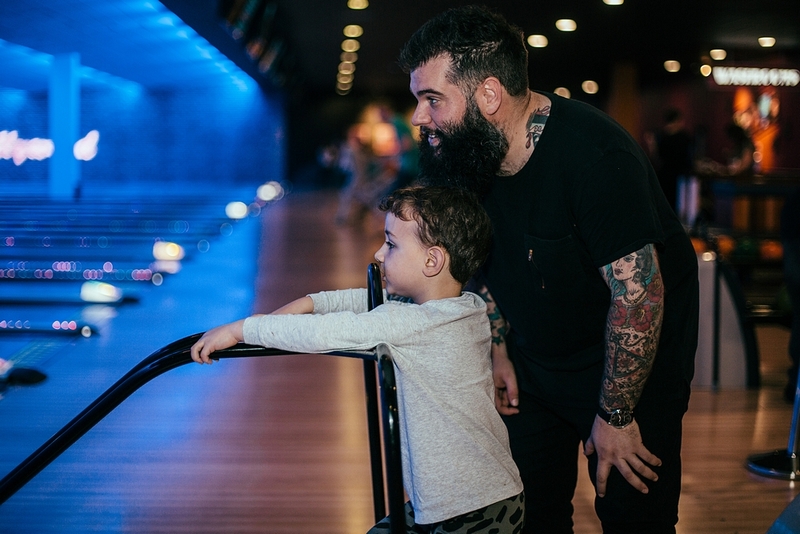 Gone are the days when you had to manually put the bumpers down, now you can program the lane to do it all for you, either to just come down for the kids or for you as well (we won’t tell anyone!). 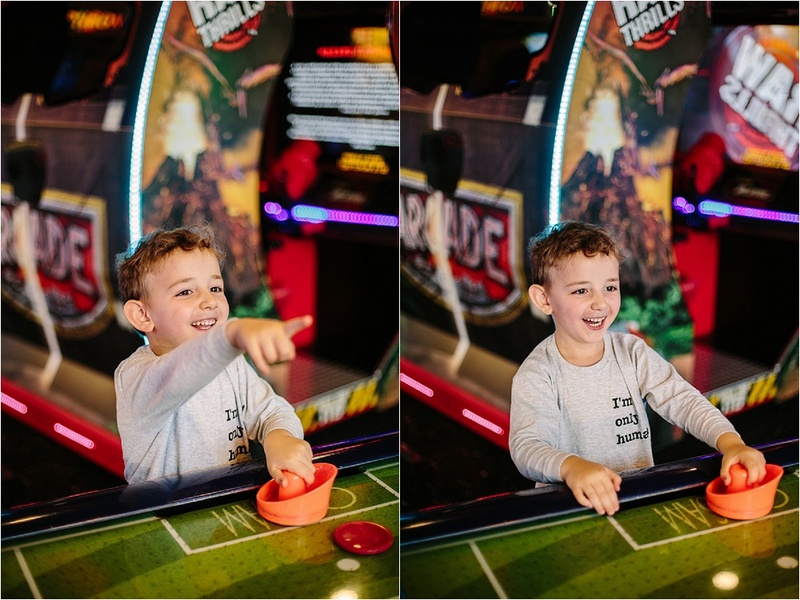 We had a great time playing a few games, and Dil got to perfect his celebration dance when he got a really good score. 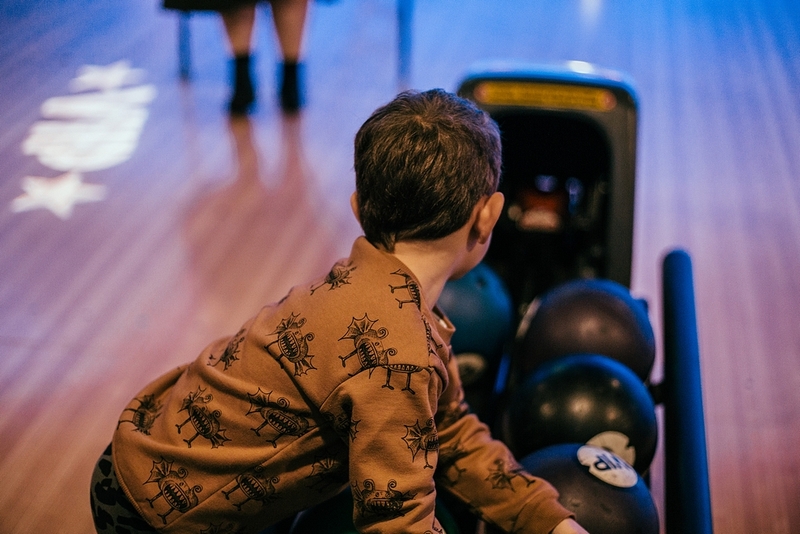 It was really fun being in our own little space, and it definitely felt a little more special than bowling on the standard lanes. 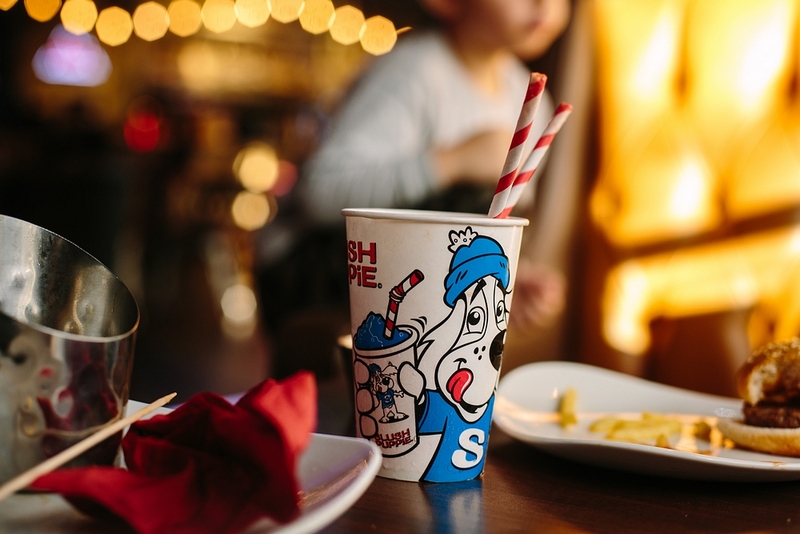 Dil loved being able to request a Slush Puppy refill just by pressing a button, and our lane host popped in occasionally just to make sure we were all alright. 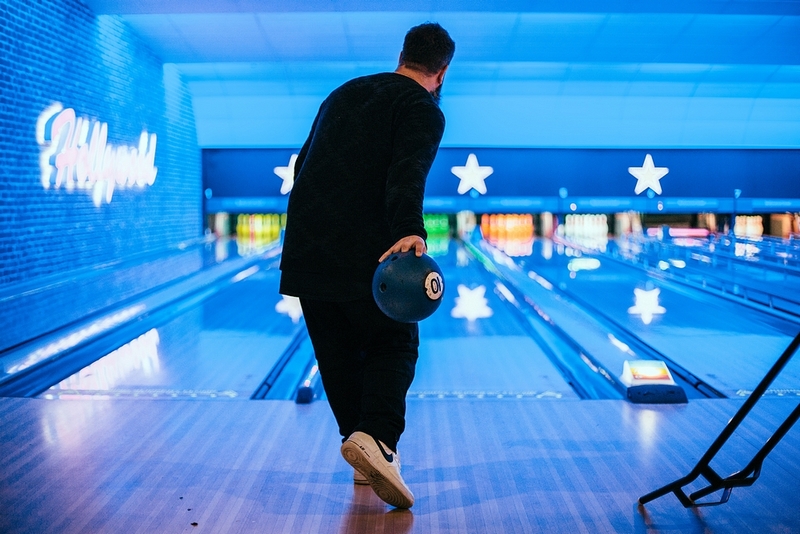 After a couple of games of bowling you’ll undoubtedly work up an appetite and I can now thoroughly recommend visiting the Diner to grab a bite to eat. 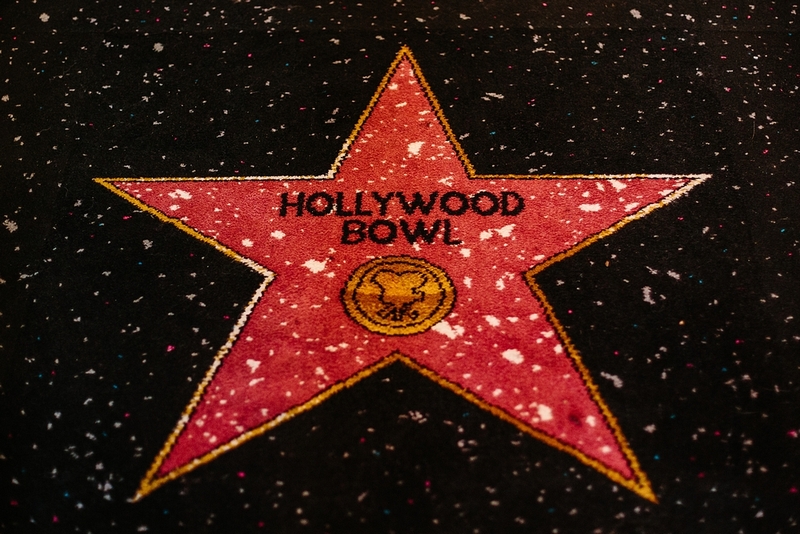 Although we visit Hollywood Bowl often this was actually our first time eating there, and it was really good! 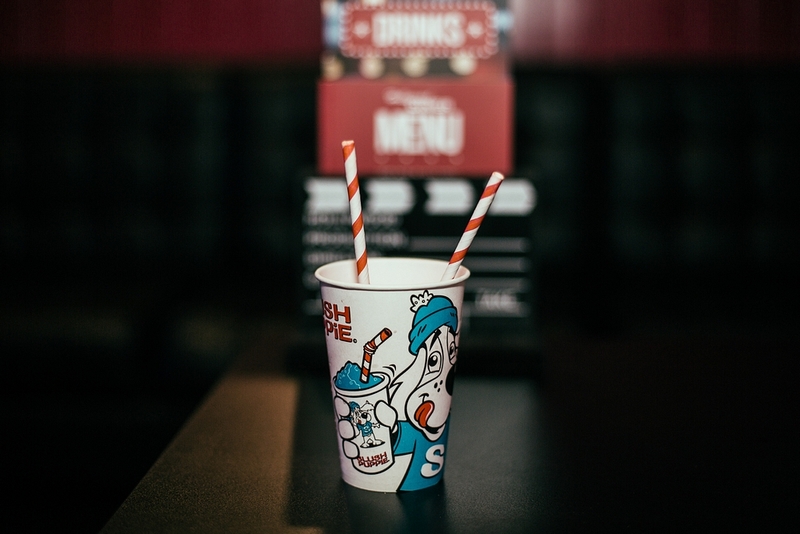 The menu includes American classics like burgers, hot dogs and milkshakes, and there’s a few meat free options too. 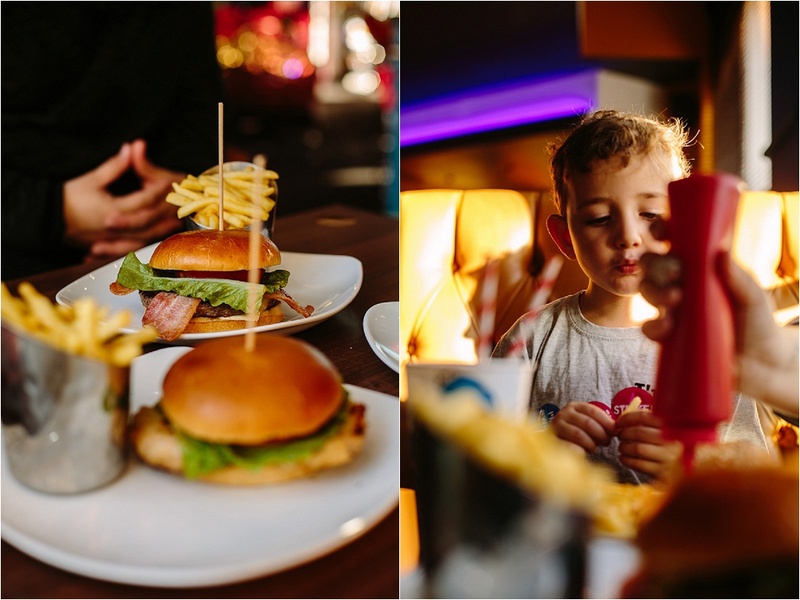 There are similar choices on the kids menu, plus chicken nuggets or two pasta dishes. 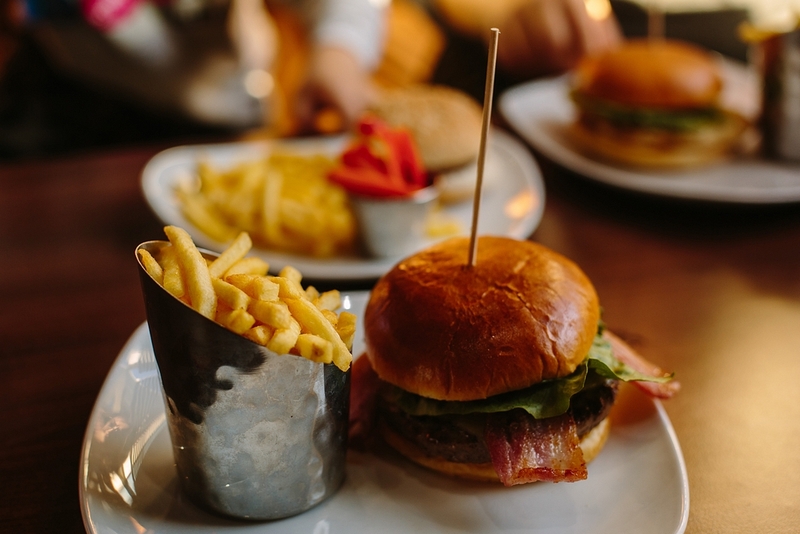 Adam ordered the Hollywood Burger and I opted for the grilled chicken version, and I was genuinely impressed with how nice it all was. 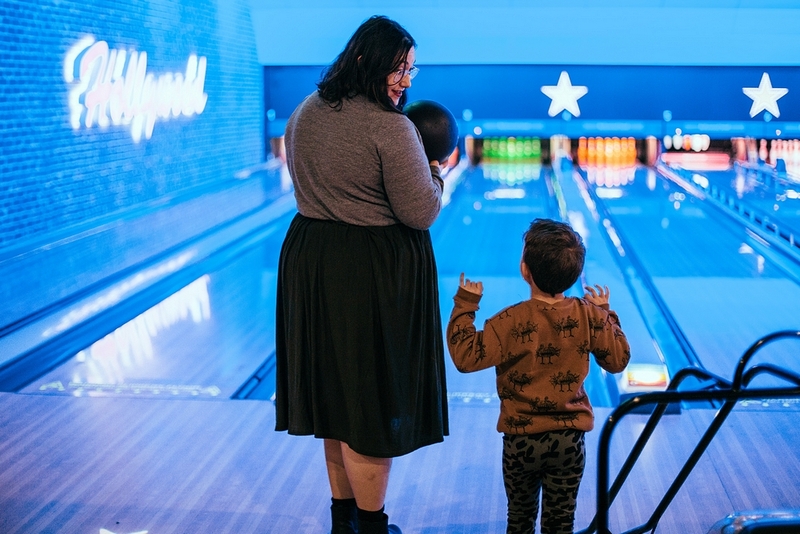 There are also plenty of starters/sharers on the menu which would be perfect for ordering to your lane to nibble on while you bowl. 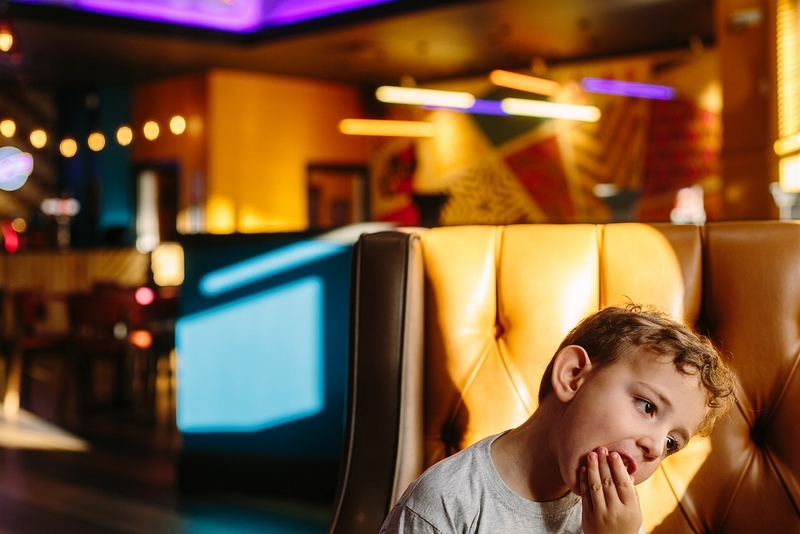 Allergy wise the Diner was great. 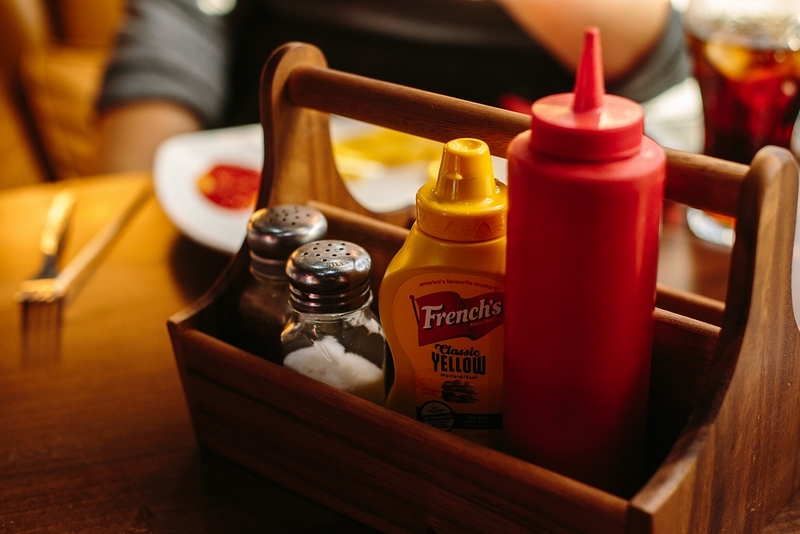 Both the duty manager and one of the kitchen staff came out to speak to me, armed with the allergen information which is always a great sign. 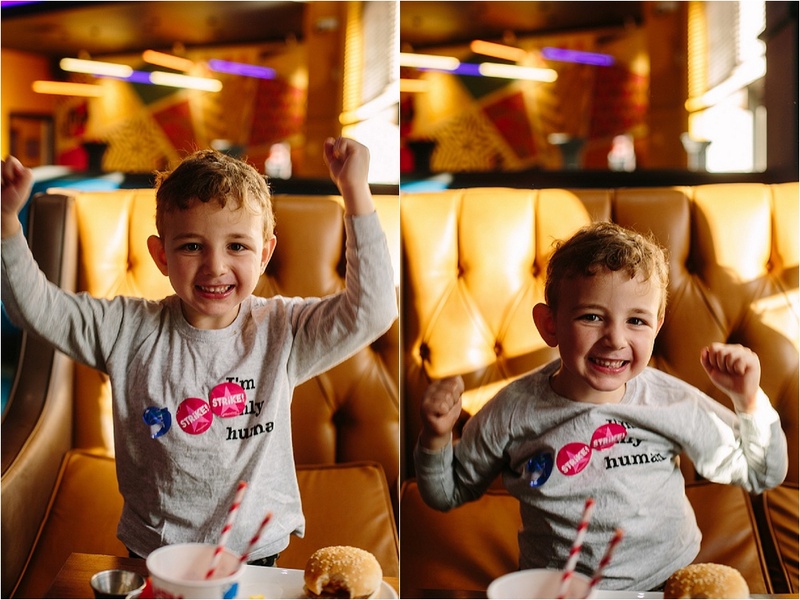 Dil was able to have a burger with chips and seemed to enjoy it. 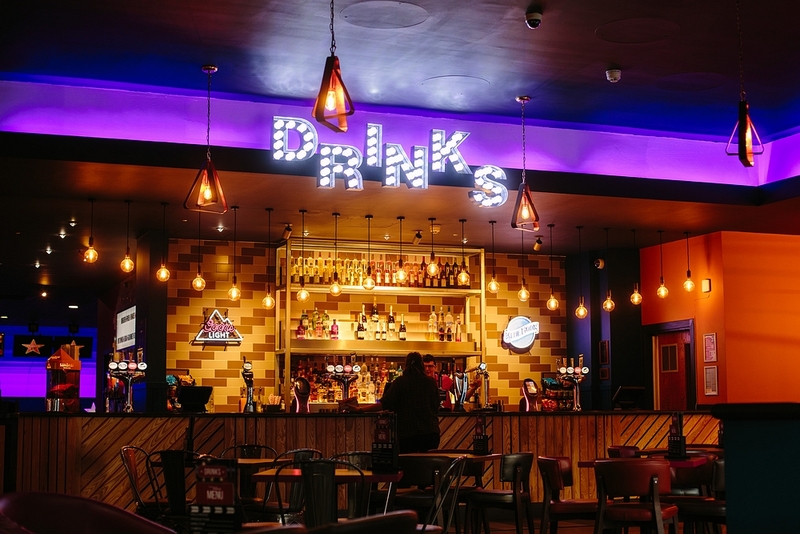 The Diner also has a fully stocked bar and a delicious sounding dessert menu if you’re after something sweet! 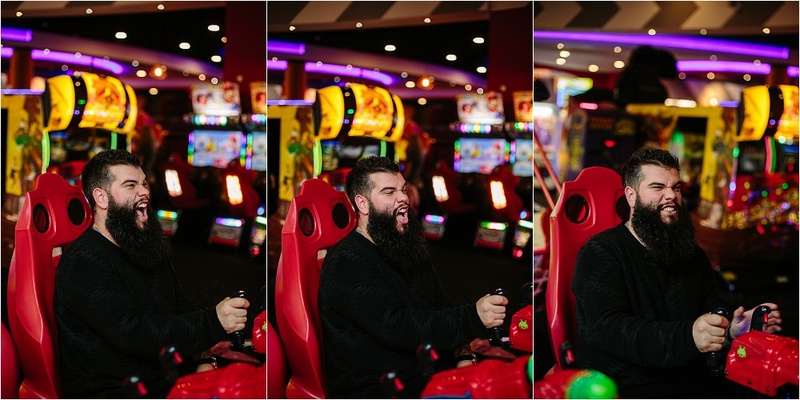 As much as Dil genuinely does love bowling, the amusements are always the highlight of our Hollywood Bowl trips. 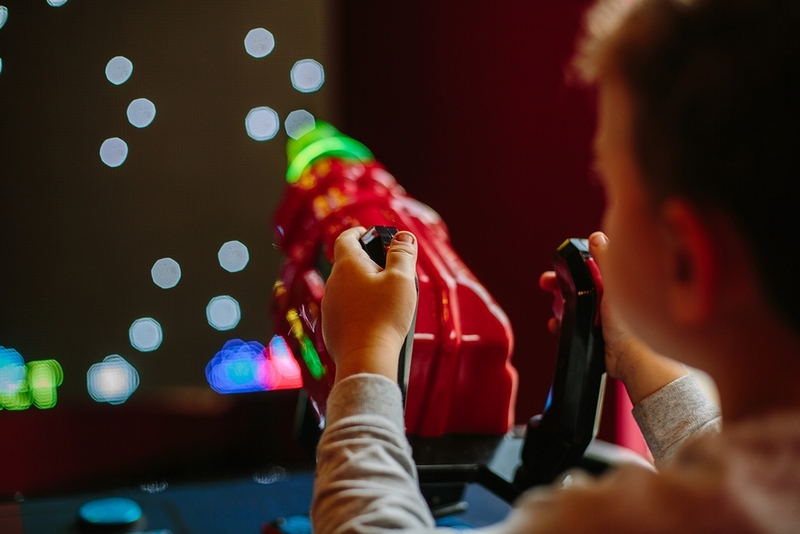 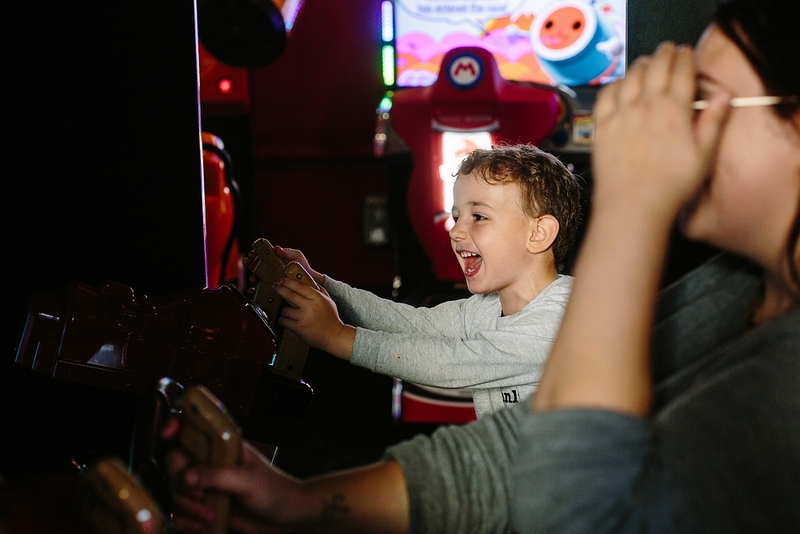 They have a great mix of arcade games for various age ranges and skill levels, including driving and shoot-em-up style games, games based on skill and games based on luck, there really is something for everyone! 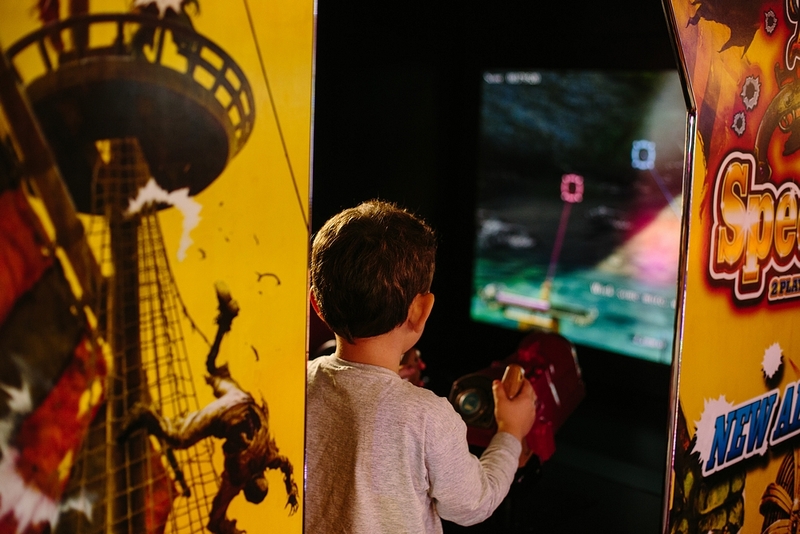 Our favourite is the totally not age appropriate pirate game which we always get way too into, and we also indulge in a go on the classic 2p machines, the retro Space Invaders and usually several games of air hockey. 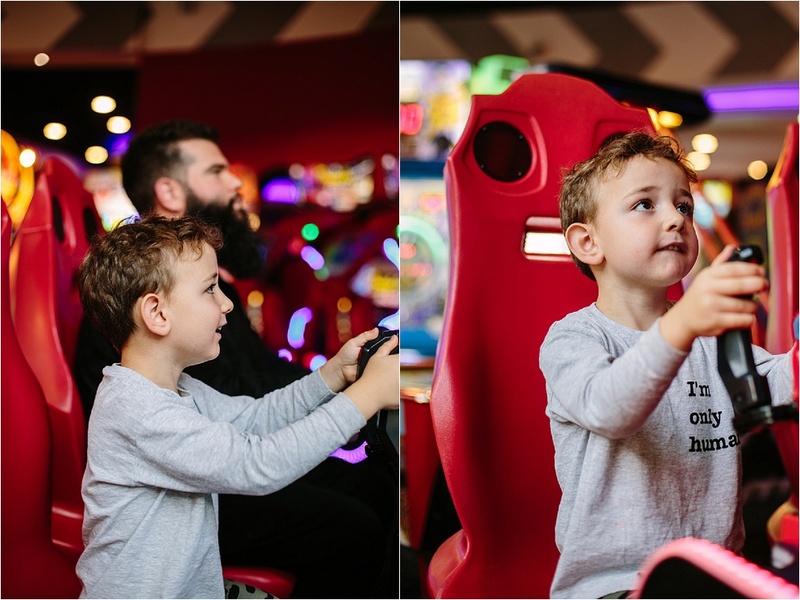 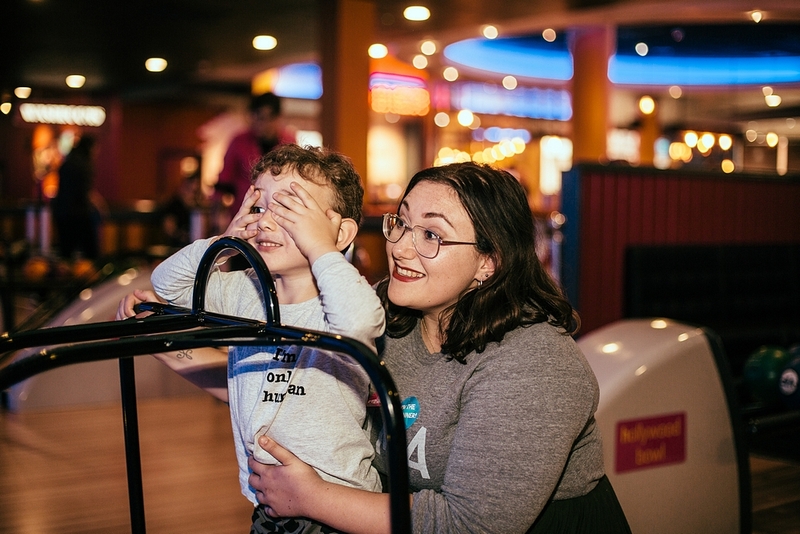 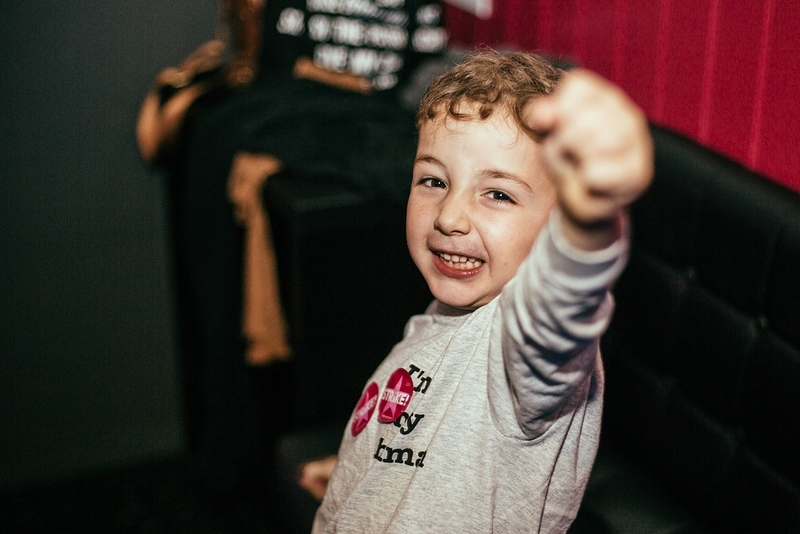 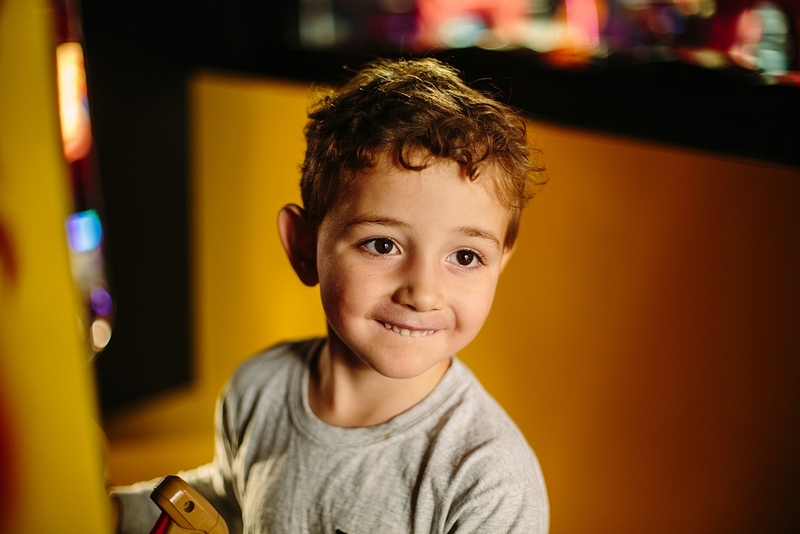 Kids have great fun in the amusements, but it’s definitely for adults too – me and Adam got to have a few Mario Kart races, and he got very serious about his turn on Space Invaders. 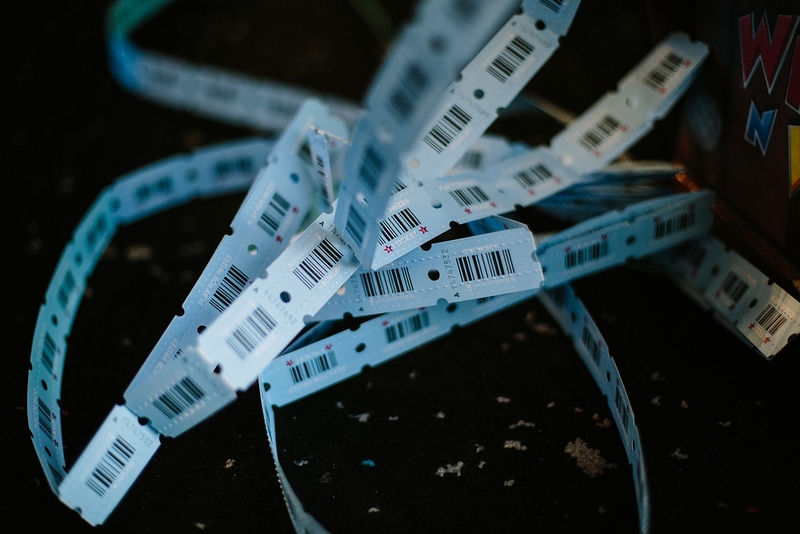 Lots of the games spit out tickets as you win, and once you’re finished playing you can feed these to the ticket eater and go collect your prize (or save them up to win something big – we aren’t very good at delayed gratification just yet). 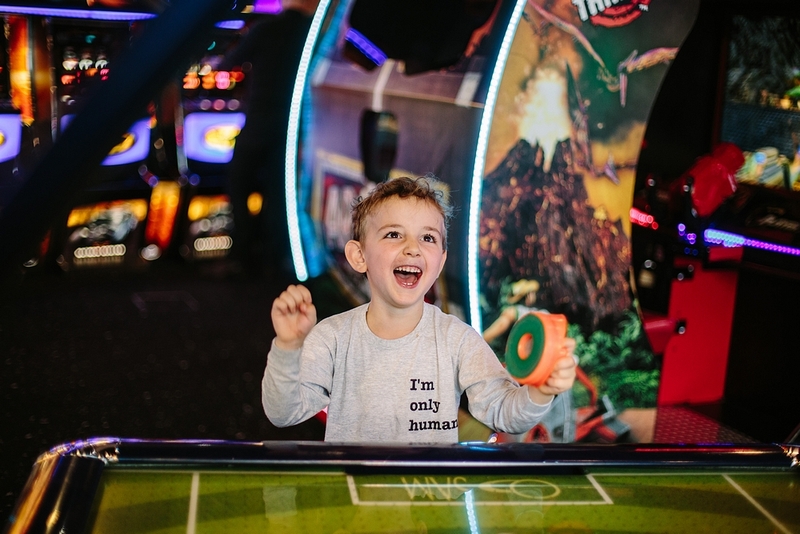 Just before we left Dil had one last go on a game and managed to hit the jackpot – winning himself a very impressive 1000 tickets and definitely ensuring that the whole day was up there as one of the best in his life. 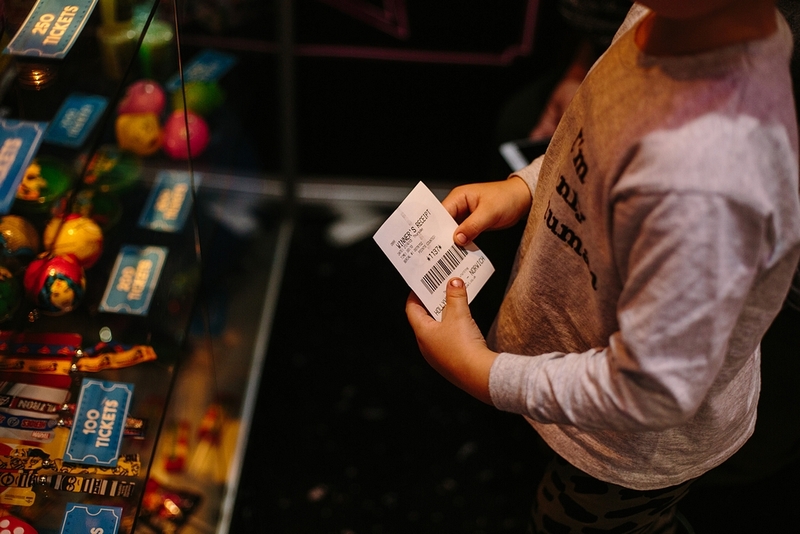 Luckily for him lots of the prizes need about 100-300 tickets, so he was able to come home with quite a collection of sweets and toys and he’s still talking about how he figured out how to hit the machine just right. 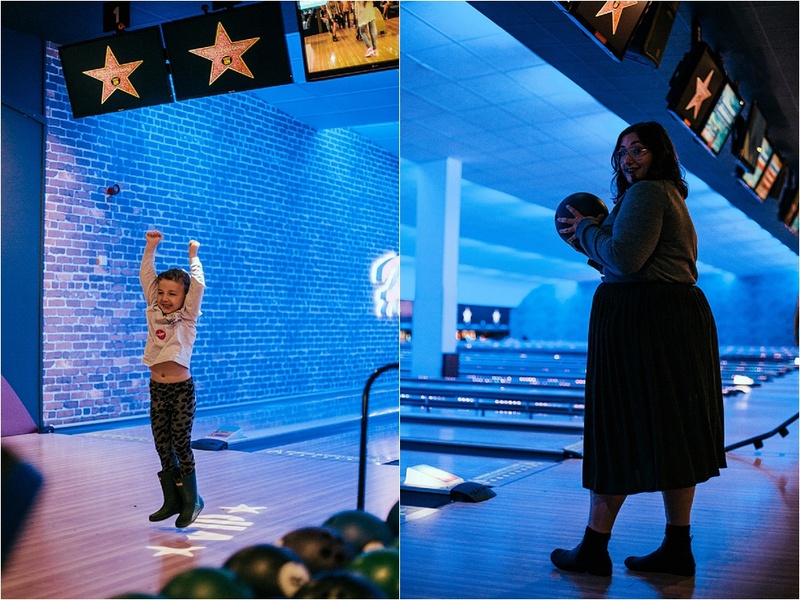 We had so much fun during our visit to Hollywood Bowl last week. 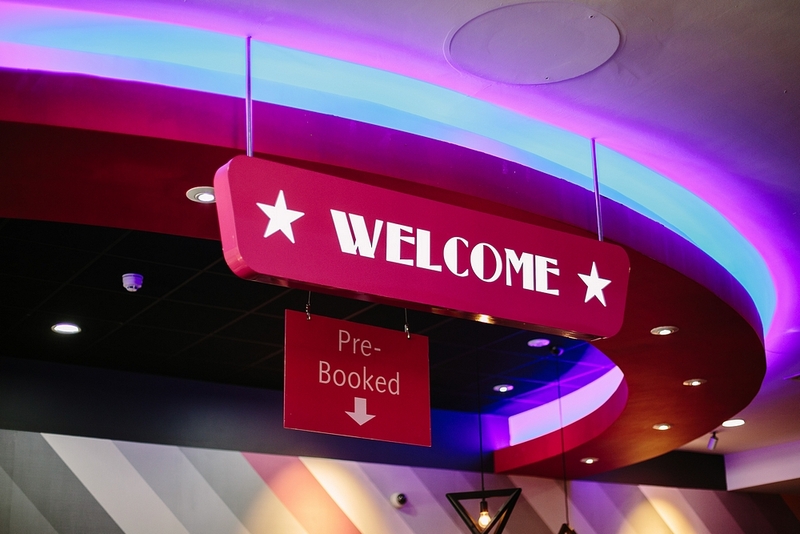 The atmosphere is always great and the staff were incredible which always makes a difference to a day out. 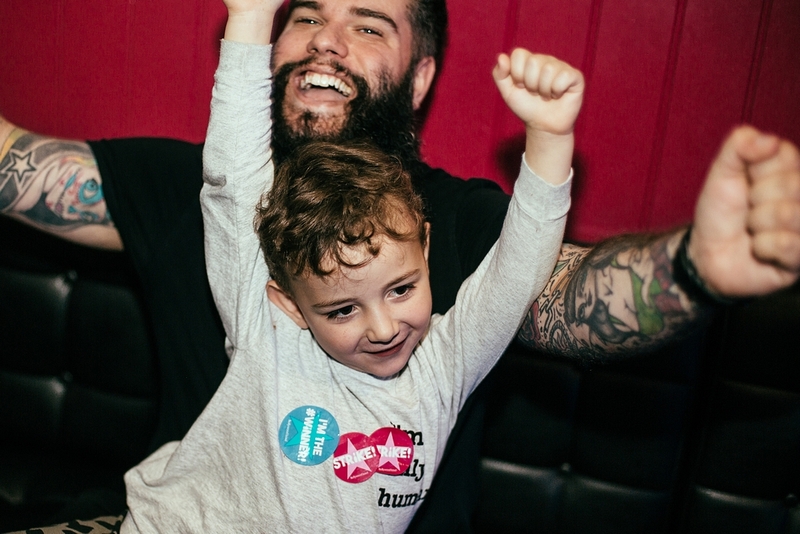 It goes without saying that we’ll be back, I hope that it’s the place of many more good times for us all. 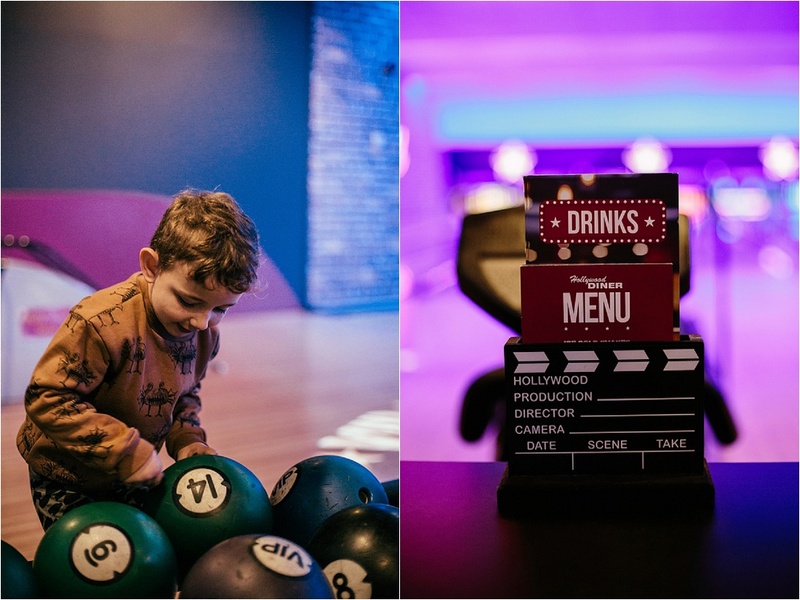 Dil has also been asking about having his birthday party there, so it’s clearly somewhere he really enjoys! 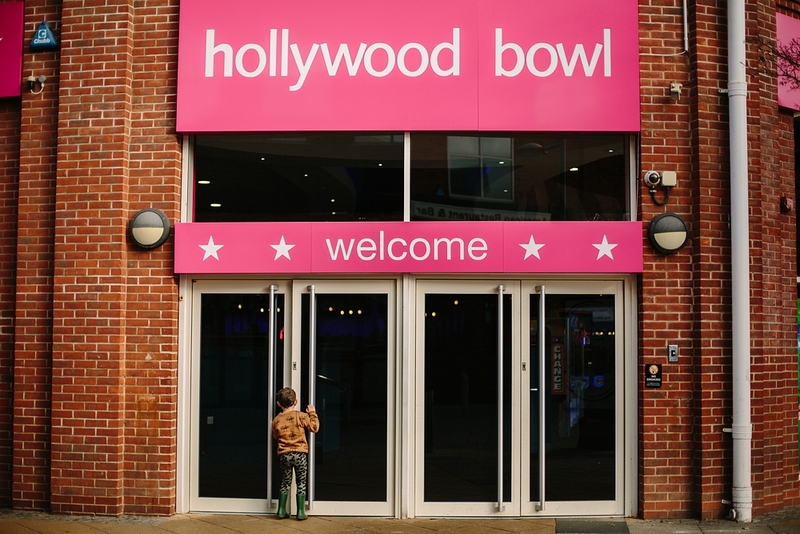 Hollywood Bowl will always remind me of brilliant family time, lots of laughter and plenty of happy memories, and it was brilliant being able to celebrate having my arm back by spending the afternoon there. 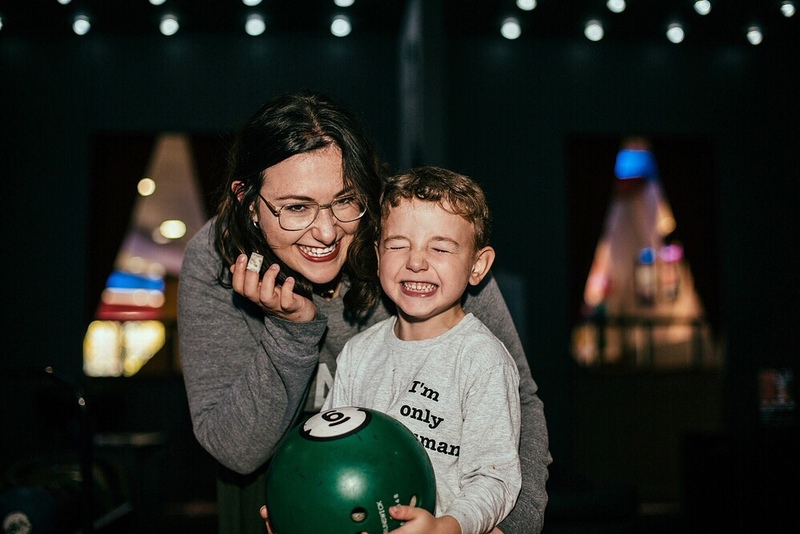 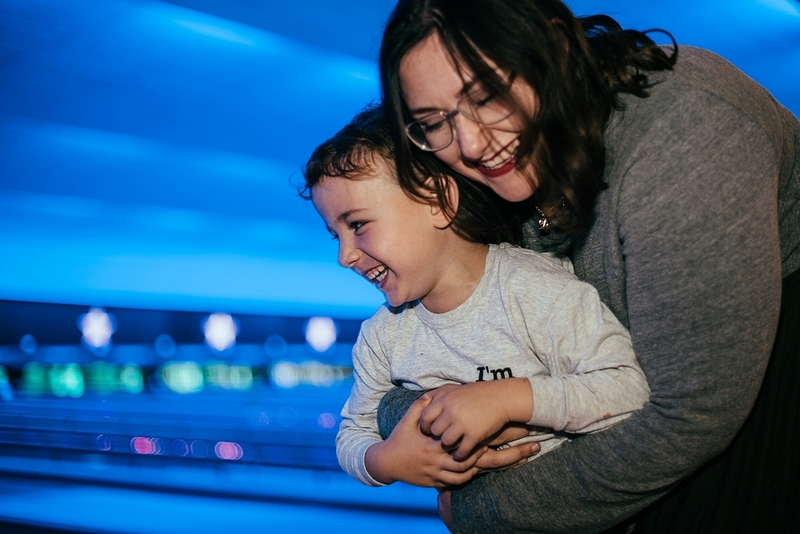 If you’ve got something to celebrate as a family, whether it’s a birthday or anniversary, or maybe just making it to the end of the week, your nearest Hollywood Bowl is definitely the perfect place to head. 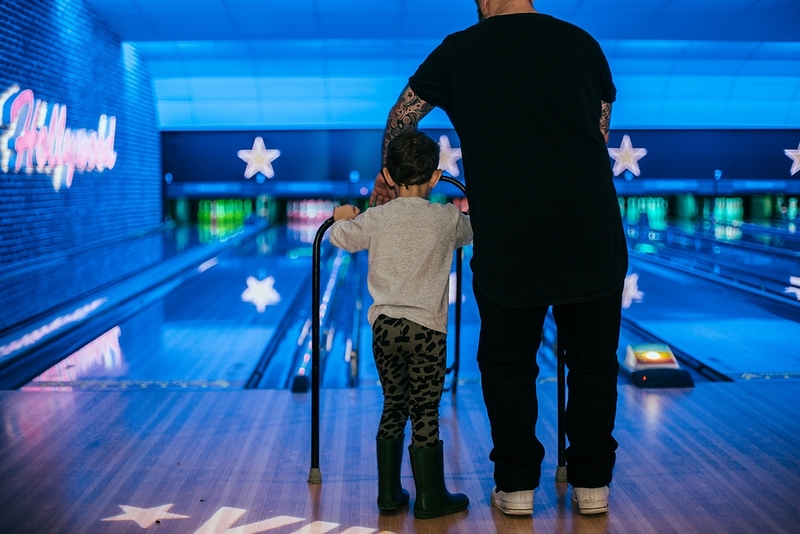 Share your celebratory Hollywood Bowl moments on Instagram to be in with a chance to win an incredible family bowling package. 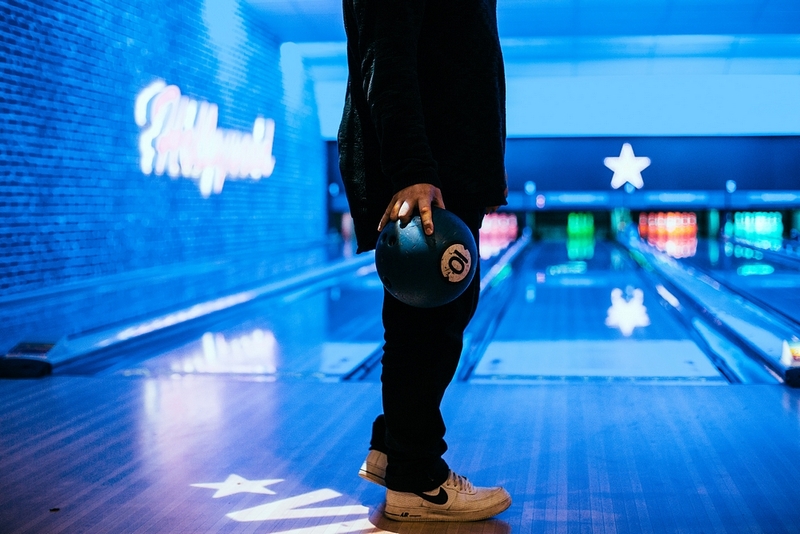 Simply follow @HollywoodBowlUK and use #CelebratingLife in your post.